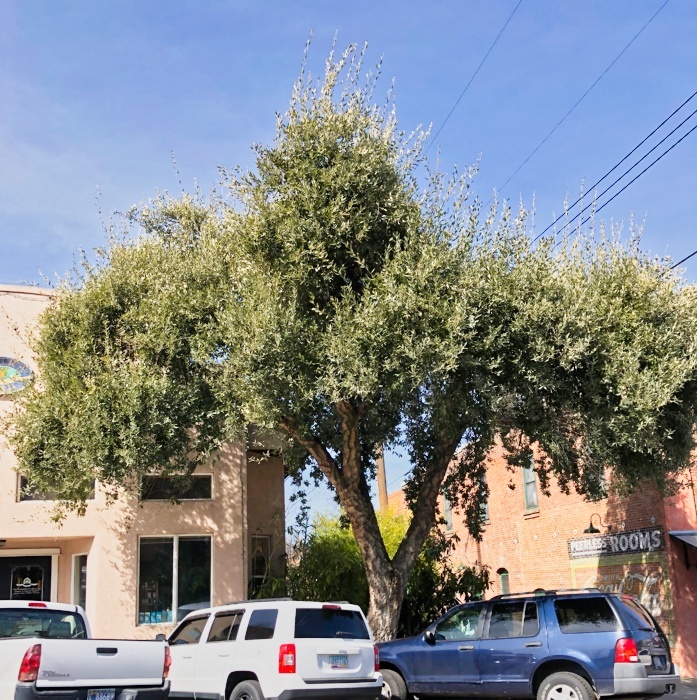 Years ago I spent quite a bit of time writing about Ashland Trees of the Year. 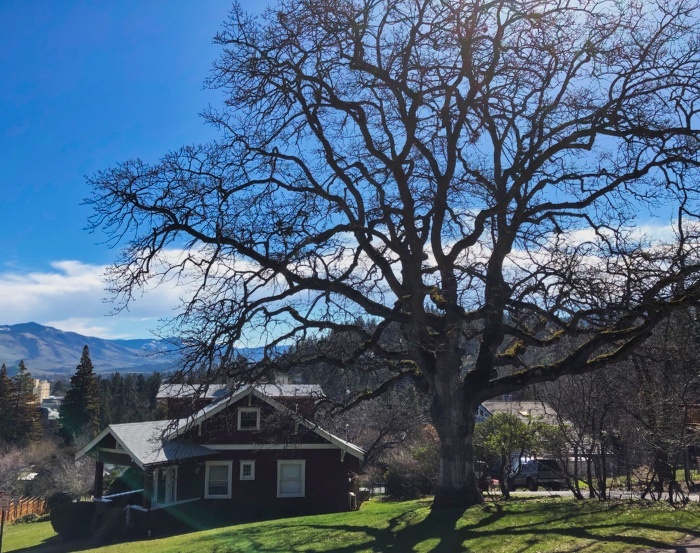 Each year, Ashland picks a “tree of the year,” and you’ll often find trees around town with the informational markers in front. It is one of those things that I found so wonderful about this town — and educational. 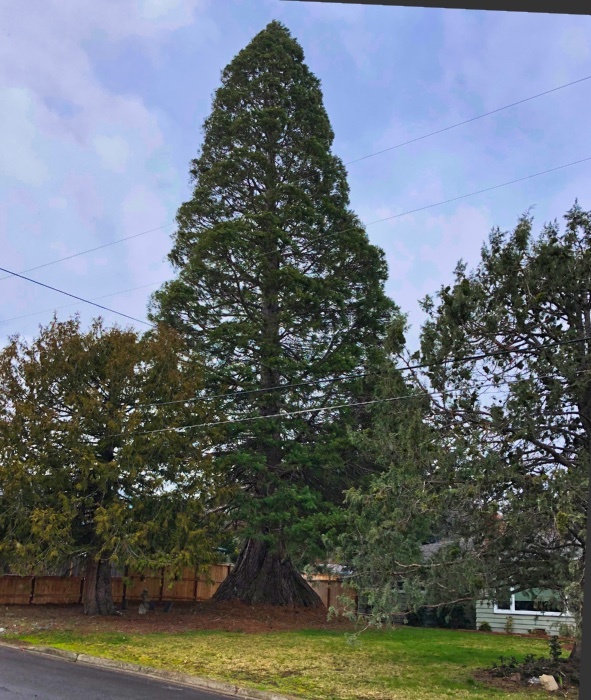 I profiled a number of trees, such as the Deodar Cedar, Podless Catalpa, and one of my favorites, the Monkey Puzzle Tree. But then life (and publishing) got in the way and I lost track of the Tree of the Year competitions. Until this year. And I actually voted. Now, you may wonder what the voting process is for a tree and I can tell that you don’t need an ID. In fact, you don’t even have to be based in Ashland. You can see all four candidates here and vote for one. And here are photos of each of the four candidates. 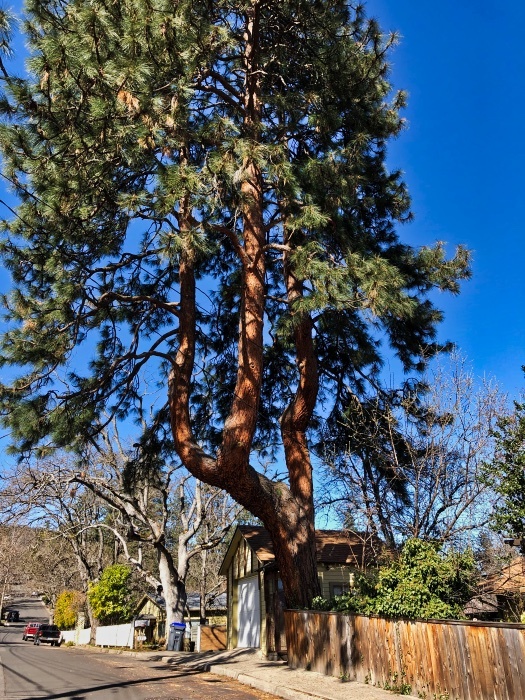 First, we have an iconic Oregon tree, the Ponderosa Pine. The shape of this tree is most unusual. Normally these trees shoot up pencil-straight toward the sky. It makes a great tree for climbing and sitting. Next is the Oak tree (I’m not sure of the exact species). It is a grand tree with a wonderful view of the valley. Then there is a Giant Sequoia (Sequoiadendron giganteum). This one is a relative baby but still difficult to capture with a camera. Finally, we have the Cork Oak (Quercus suber). This tree is native to Southest Europe and Northwest Africa — regions that share a very similar climate to ours. The bark of this tree is harvested every 7-10 years and the odds are good that the cork that came in your wine bottle came from one of these trees. The campaigning this year for Tree of the Year has been fierce. The robocalls are nonstop and I’ve had to turn the TV off to avoid all the commercials. I’ve placed my vote and we should have our winner announced on Arbor Day. And, honestly, they’re all winners, don’t you think?